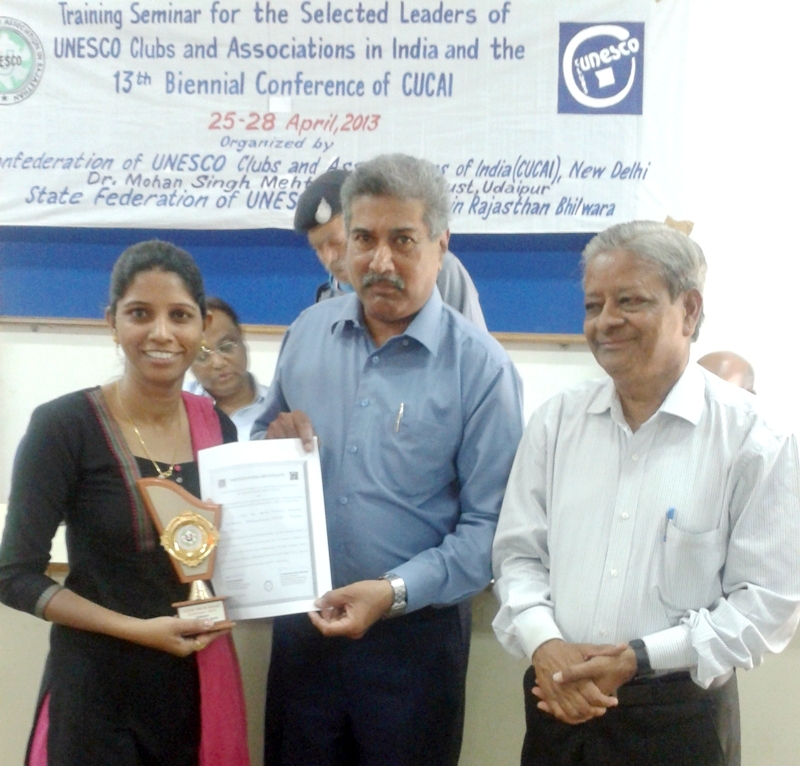 Rashmi Mishra receiving the trpohy and certificate on behalf of VIS from Mr Dhirendra Bhatnagar the General secretary of CUCAI and Mr. Shyam Banwari Convenor of Rajasthan CUCAI (confederation of UNESCO clubs and association of India). Vandana International school is the proud and dedicated member of the Confederation of UNESCO club association of India.School has received the certificate of appreciation from CUCAI for its continuous efforts towards ensuring international peace and cooperation. School was a part of training seminar for Selected leaders of Confederation of UNESCO club association in Udaipur from 25th to 28th of April. It received a trophy for the same.